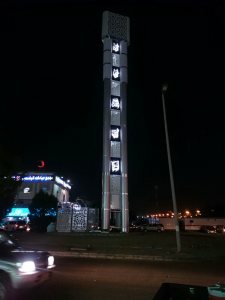 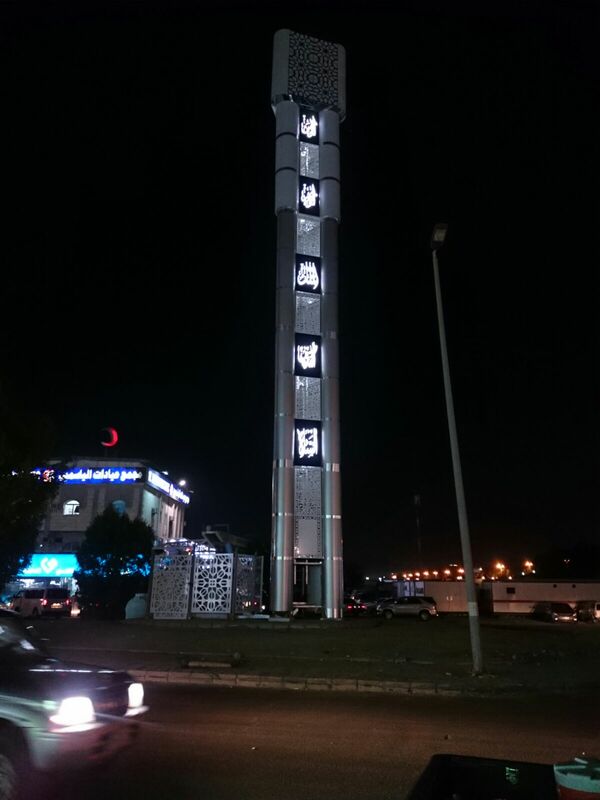 The Holy Names Towers is G-enviro new camouflaged tower, was invented to be a convenient solution with the modern Islamic Environment Surrounded in Saudi Arabia. 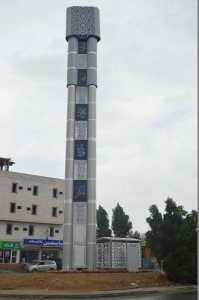 The 35m Holy Names Tower is a Triangular Tower, installed on a cast in situ foundation, can support the loads of three operators. 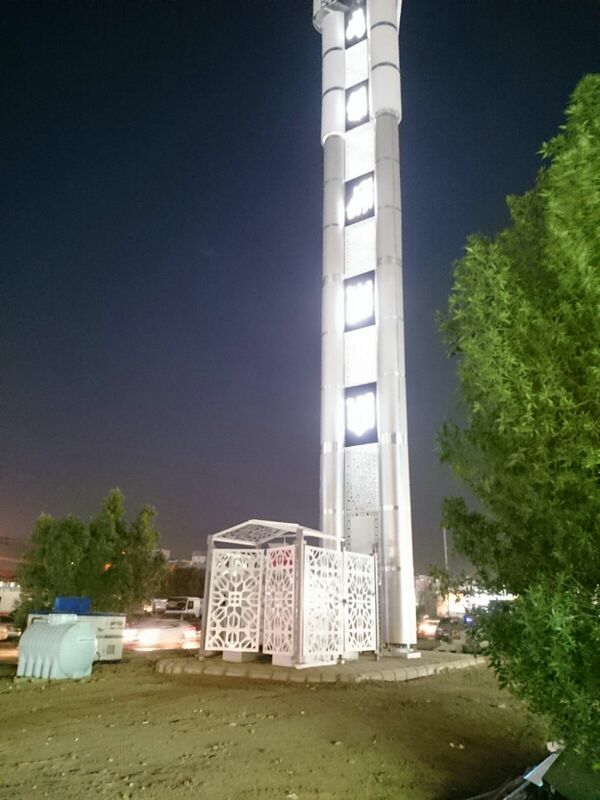 Tower is provided with with internal climbing ladder, safety wire and lightening rod. 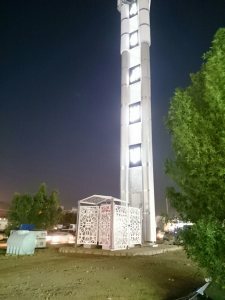 Structure is completely covered with artificial cladding (composite panels and Fiber glass). 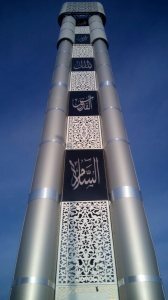 The Holy Names are distributed along the tower height with Islamic decorations cladding panels. 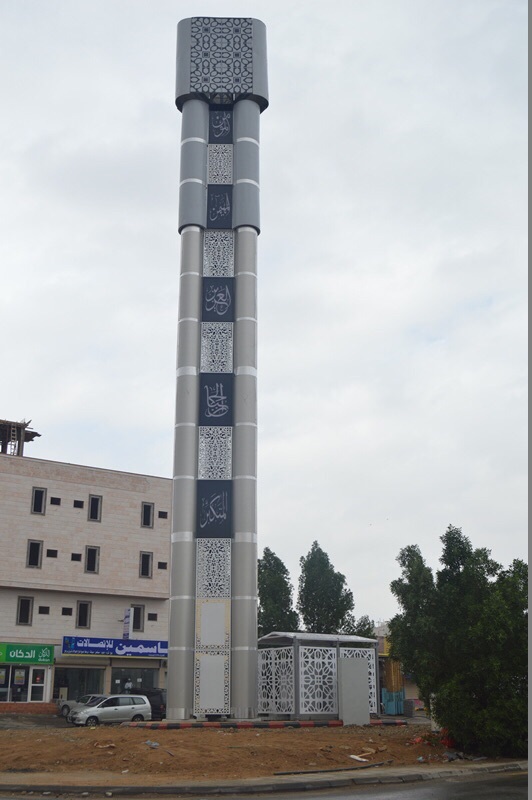 structure can support up to ( 18 Gsm antennas + 6x3 RRUs + 4 No.s 0.6 Mws + 1 No.s 1.2 Mws). Decorative Sheets can be changed upon customer request.